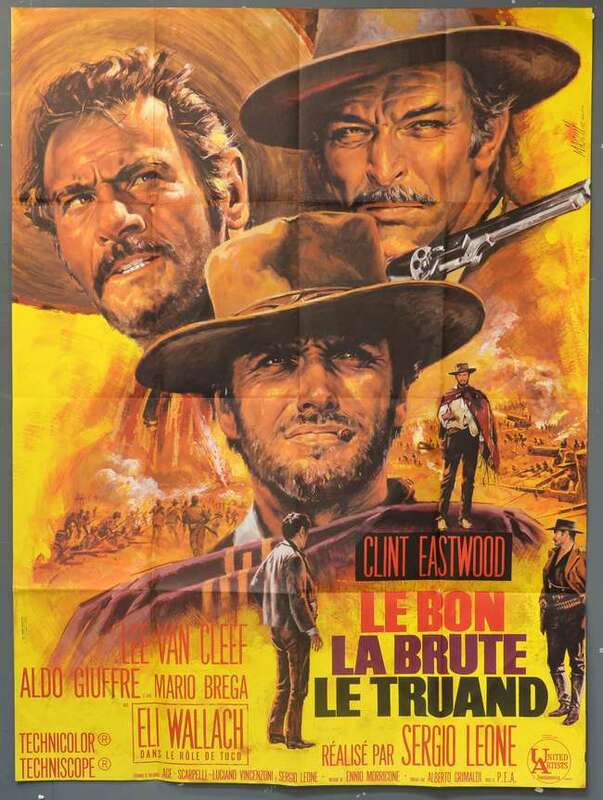 The Good, The Bad and the Ugly (United Artists,1968) French Grande 46" x 61"
Starring Clint Eastwood, Lee Van Cleef and Eli Wallach. Classic Spaghetti Western directed by Sergio Leone. This is the original first release poster. 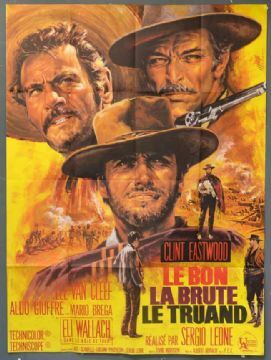 The poster has small edge fold tears, fold separations, larger one on Eli Wallach, two pieces of clear tape on back to strengthen poster, one fold has very small splits in, only noticeable when held to light. Rare.